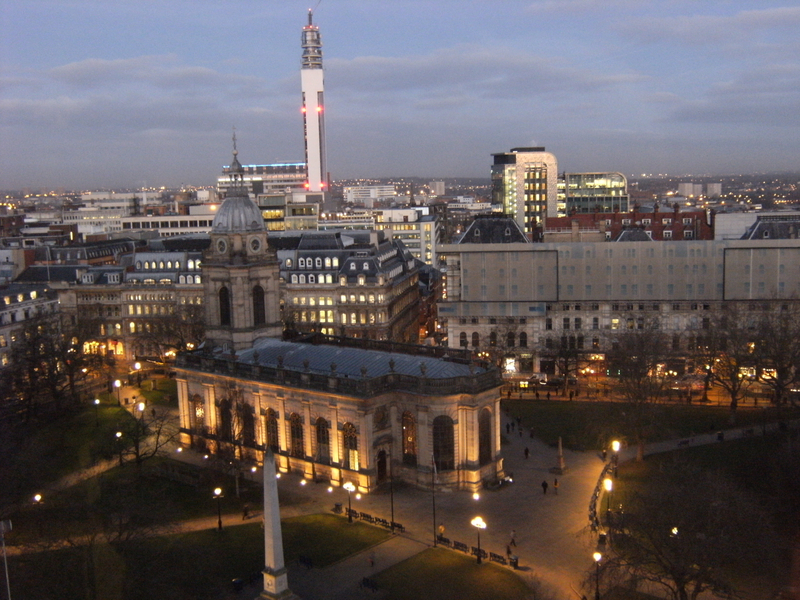 Birmingham’s St Philip’s Cathedral is in the heart of the city. You may have lived in Brum for years but never paid a visit. Maybe you’ve walked past it? Or visited the Christmas Market in its surrounding grounds? It’s located on Colmore Row, just a few minutes from New Street station, in what is affectionately called Pigeon Park. If you haven’t been inside, now is the time to change that. From free music events to beautiful stained glass windows, Birmingham Cathedral should be your next cultural adventure. The Cathedral is open to anyone and everyone. Whoever you are, you’re welcome! Visitors’ chaplains are often in the building as someone to talk to, if that appeals. Many people each day take time out of their busy schedule to spend even just a few minutes in the quiet and tranquil space. It’s an oasis of calm in the midst of a fast-paced city. The Cathedral Square – also known as Pigeon Park – is one of the few areas of green in the city centre. Relax on one of the benches. Around lunch time you’ll find lots of other people doing the same. You will also find a number of important listed memorials with a fascinating history behind them and in the spring time the grass will be covered in daffodil crosses. Choral Evensong, which happens multiple times a week, is the sung version of evening prayer. It is a time of peace, high-quality music and an opportunity for personal reflection. For many, Evensong is a welcome constant in a busy and changing world. The beautiful Birmingham Cathdedral stained glass windows were designed by Edward Burne-Jones and made in the workshop of his friend William Morris. The Cathedral has some of the finest examples of Pre-Raphaelite stained-glass in the country. The four windows were designed by Edward Burne-Jones and made in the workshop of his friend William Morris. The windows draw visitors from all around, with their vibrant colours and striking design. When you have a closer look at these beautiful works of art, you will see that the colours of the windows alter with the changing light. Look out for the pink angels in the Ascension window and the rainbows in the Last Judgement window. These Burne-Jones masterpieces alone are well worth a visit. There is a story to discover in every corner of the Cathedral. Written explanations are around the building to help you on your discovery. Features such as the ship’s bell from HMS Birmingham have a fascinating history. The bell was formerly used as a font for baptisms on the HMS Birmingham and it has the names of those baptised engraved inside. It is now rung at every baptism in the Cathedral. On most Mondays at 12:30 pm and Wednesdays at 11:30 am there will be a guided tour. The tour guides help visitors to understand the history of the building and the churchyard, and can bring to life features of the Cathedral that you may not have noticed. You can enjoy your lunch as you listen to excellent music, with the Cathedral as a stunning backdrop. These performances take place throughout the year, at 1:10 pm on most Mondays. It’s free of charge and there is no need to book, just turn up! Take a little bit of the Cathedral home with you! The Cathedral sells silk scarves, printed with a section of the striking Last Judgement window. 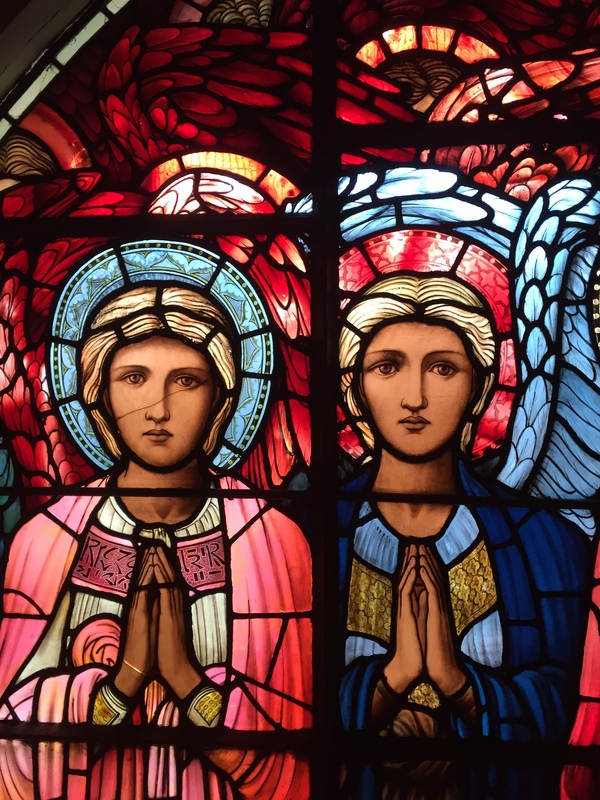 At the same time, you will be supporting the Divine Beauty project which is working to clean and restore the Burne-Jones windows. The cathedral doesn’t charge admission – ‘the best things in life are free’, as the saying goes – and it’s only a five-minute walk from New Street Station! 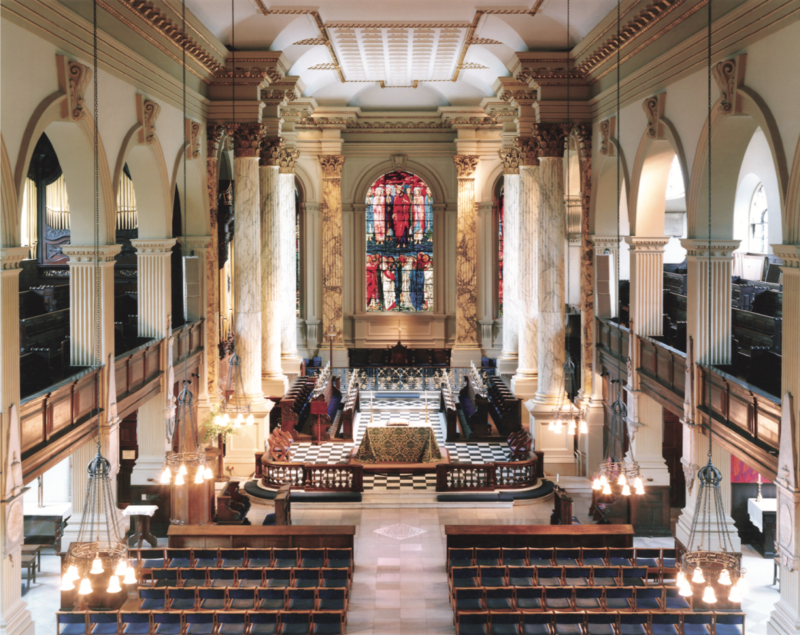 You can find out more about Birmingham Cathedral, including its events, the story of its stained glass windows and free music programme here. This blog post was written by Susanna Davis, who has been on placement at Birmingham Cathedral and is a History of Art and History student at the University of Birmingham. Will definitely be paying a visit next time I’m visiting!